The first students have now all started their courses at the University of Wolverhampton’s new branch campus in Mauritius. The official launch of the new campus in the Cybercity at Ebene took place on 26 March 2012. Now around 100 students have enrolled at the campus for degree courses in Law and an MA in education. University of Wolverhampton Vice-Chancellor, Professor Geoff Layer, said: “It’s very exciting following all the work setting up the campus that we now have courses running and students enrolled. It’s another milestone for us. “Our focus at the University of Wolverhampton is to provide an excellent teaching and learning experience for our students, whether they study with us in the UK or overseas. 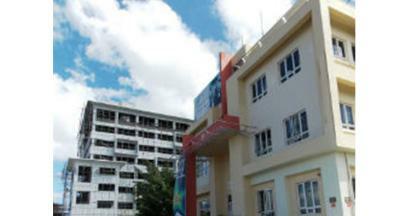 The University currently has 150 graduates from Mauritius, the majority of whom studied law. The University has already launched a Mauritius Alumni Association, with Wolverhampton graduate The Honourable Mr Yatindra Nath Varma, the Attorney General of Mauritius, as its Honorary President. The Hon. Mr Yatindra Nath Varma, is the Attorney General of the Government of Mauritius, a position he has held since 2010. He graduated from the University of Wolverhampton with an LLB (Hons) Law in 1998. The University of Wolverhampton has established links with universities in 30 countries and has over 2,500 international students from over 100 countries living and studying in Wolverhampton.